Warren Buffett is arguably the greatest living investor. He went from buying his first stock at age 11 to owning multiple companies at the top of the Fortune 500 list. 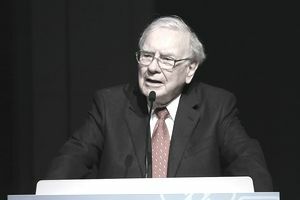 Buffett's personal wealth has ballooned to nearly $90 billion as of September 2018, making him the third wealthiest person on earth at the time. Given his decades-long track record in the market, many investors want to learn how to pick stocks like Buffett. But for individual investors, including his own wife, Buffett continually comes back to a very basic investment strategy—and it's one that has nothing to do with picking individual stocks. In his 2013 annual letter to shareholders, Buffett addressed his own mortality and offered clear instructions to the trustee charged with managing his vast estate for his wife. Buffett’s disdain for expensive investment managers is clear. And he doesn’t suggest his trust hold a single stock—not even in his own company, Berkshire Hathaway. Instead, he suggests funneling stock investments into an S&P 500 index fund, a type of mutual fund that follows the performance of 500 of the largest public companies in America. Buffett’s belief in the S&P 500 is so strong that he bet $1 million that the S&P 500 would outperform a selection of top hedge funds over time. Does He Invest in Individual Stocks? You might be wondering why Buffett's own company doesn’t follow his advice. After all, Berkshire Hathaway was built on investing in individual companies, and its portfolio contains billions of dollars of stock investments in companies including Wells Fargo, American Express, and Coca-Cola. It's a portfolio built on a philosophy called value investing, which was pioneered by Buffett’s mentor and professor Benjamin Graham. Value investing ignores swings in the markets and focuses on a company's intrinsic value. Buffett and his team focus on finding companies that have a competitive advantage, great management, and a higher value than the current stock price. Buffett’s favorite metric for measuring a company’s value is book value per share. This measures the value of the company’s assets compared to the share price, giving you a conservative gauge of what the company is worth. If you wanted to pick stocks, value investing would be a fine strategy to follow. Still, keep in mind that Buffett and his investment team manage billions of dollars in assets, and have the ability to make massive investments and influence the operations of the companies in the Berkshire Hathaway portfolio. Individual investors are typically working with thousands of dollars, not billions, and do not have the time, assets, or expertise to mimic Buffett’s success. Keep in mind also that individual investors, unlike a huge institutional investor like Berkshire Hathaway, are less able to handle the big losses that come with investing in the market. And make no mistake—those losses will come. Everyone has heard a story from someone who made a great stock pick and struck it rich, such as buying Google or Netflix stock at a low price shortly after their ​IPOs. But you are less likely to hear someone who lost everything when Enron fell to a scandal, or from the shareholders in GT Advanced Technologies who saw their stock become nearly worthless when Apple picked a new supplier for its glass iPhone screens. Just as the stock market has stories of glory, there are stories of big losses. If you want to follow Buffett's advice for individual investors, here's one way you might go about it, starting with bonds. These examples include Vanguard funds, but whatever brokerage you use will have similar options. As with the S&P 500, you can buy a mutual fund or exchange-traded fund (ETF) to invest in a basket of short-term government bonds. Vanguard offers its own Short-Term Government Bond ETF with the ticker symbol VGSH. A lower-cost Admiral Shares mutual fund is also available under ticker symbol VSBSX. For that "very low‐cost S&P 500 index fund” that Buffett refers to in his letter, plenty of fund options are available. Most investors would start with the Vanguard S&P 500 ETF, ticker symbol VOO. It is also available as a mutual fund, ticker symbol VFINX. Investors with at least $10,000 to dedicate to this investment can get lower fees through the Admiral Shares mutual fund, ticker symbol VFIAX. Investing in index funds has a lot of advantages over picking stocks. Instant diversification: When buying individual stocks, quite a bit of time and money are needed to build up a diverse portfolio. Diversifying across companies and industries is also important. An investment in an S&P 500 index fund gives you 500 companies at once. A bet on the U.S. economy: Betting on the 500 biggest public companies in the United States is comparable to a bet on the overall U.S. economy. While one company may follow Enron’s fate on occasion, these are stable, blue-chip companies that will experience long-term stability. Easier to control emotions: The best investment plan is to continue to contribute little by little over time. When you buy and sell individual stocks, you are always in the mindset of buying and selling. This inevitably leads many investors to buy and sell at the wrong time. Timing the markets is virtually impossible. Instead, follow a tried-and-true course where you enjoy the big upswing after a turbulent market period. Lower trade fees: Buying and selling stocks to build a portfolio can easily cost hundreds or thousands of dollars. However, most large brokerage firms offer access to their own S&P 500 index fund for no fee. If you don’t have a favorite, you can follow Buffett’s advice to buy the Vanguard version of the fund. Vanguard offers free trades of its own funds if you open a free Vanguard account. These Investors Struck Gold Picking Stocks. Can You Do the Same?